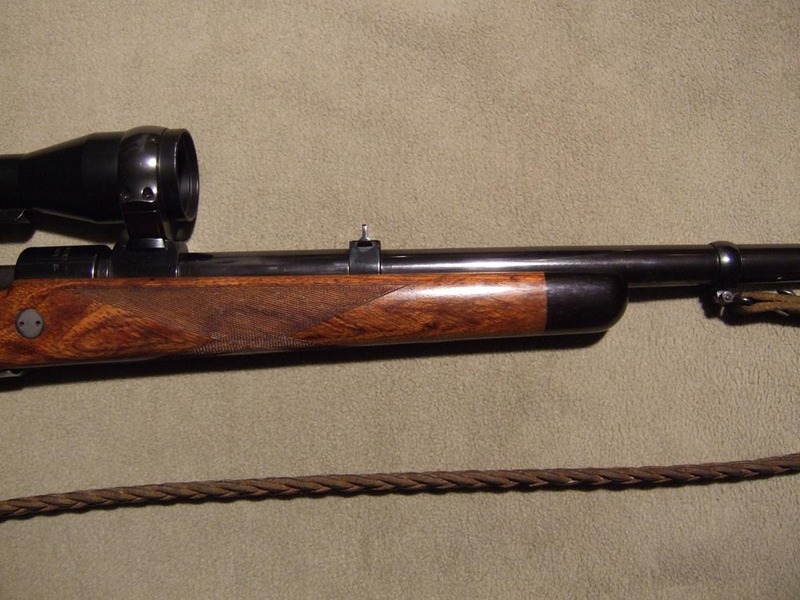 I recently bought 33 inches of Bubinga that will dress an Oberndorf that I'm getting rebarreled to 10.75x68 Mauser. 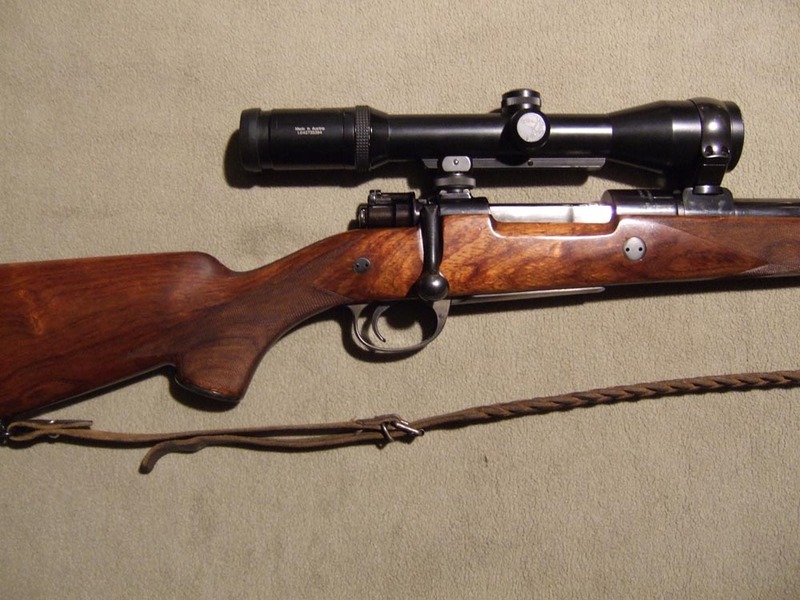 I've found a few references on various timber sites stating ' It is to this day the gunwood of choice for many South African safari guides ' Yet I haven't seen any hunting hunting rifle with a Bubinga stocks ? 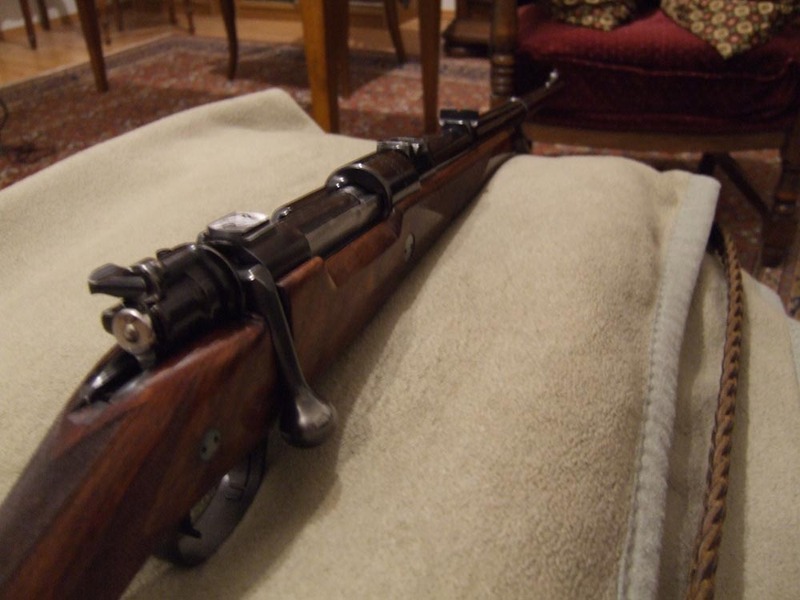 Has anybody got a pic of any said rifle or experinces ?. I have found BR rifles stocked in Bubinga. Bubinga is getting extremely difficult to source in Australia and I know of only one supplier. I had never heard of bubinga until your post so i looked it up..the gum pockets hopefully wont be in your wood. 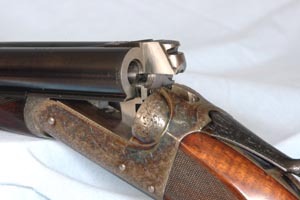 Pics of rifle blanks show it to be 'blooody nice wood"
Low steam bending characteristics and exudation of gum pockets can be troublesome. Works easily with hand or power tools. Reduced cutting angle recommended for interlocked grain. Moderate to severe blunting of cutters. Pre-drilling required for nailing. Gluing can be difficult due to gum pockets. Stains easily and can be brought to an excellent finish. Moderately durable. Susceptible to attack by common furniture beetle. Heartwood is resistant to preservative treatment. Sapwood is permeable. Dries easily with little degradation, although it will exude gum. Stable in use. Primarily used as a veneer for cabinetwork, furniture, and paneling. Also used for knife handles, and fancy goods. Had Bubinga grips on my first M29 - very nice indeed. 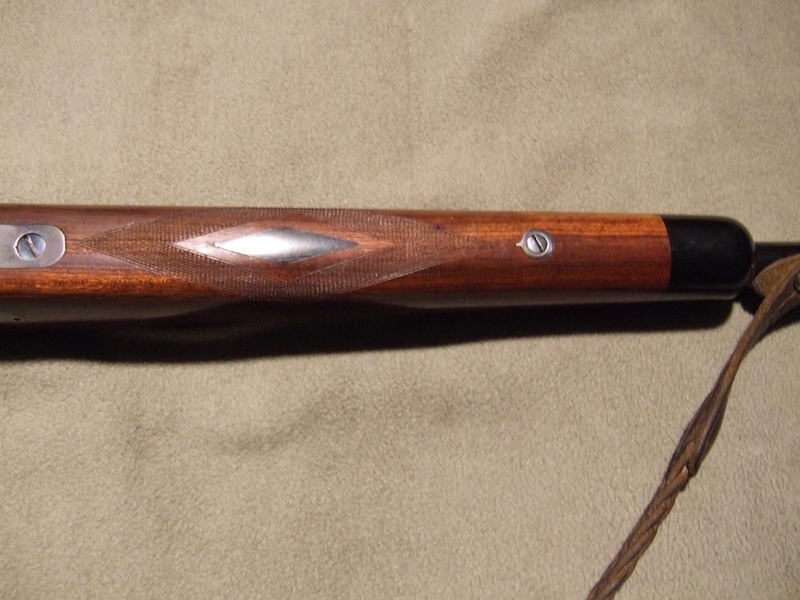 Gryphon, I dropped the bubinga off with my stock maker and he was well pleased with the quality of the timber. He has done a few before (years ago) and he emphasised that the profiling although a little slower and it being a little more prone to splintering, the result can be stunning. When I mentioned the price of the timber and the fact that he can get two stocks out of it his eyes lit up and he asked if I would select some of the planks available for himself. nice stuff alright,i looked here also. Looks to be very straight grained. How does the grain flow if cut from a crotch or trunk to root section? Huvius I cant answer your question re grain flow. Sauer made a model called 'Grand African' that was only available in .458" Winchester Magnum and fully stocked it in African bubinga wood. 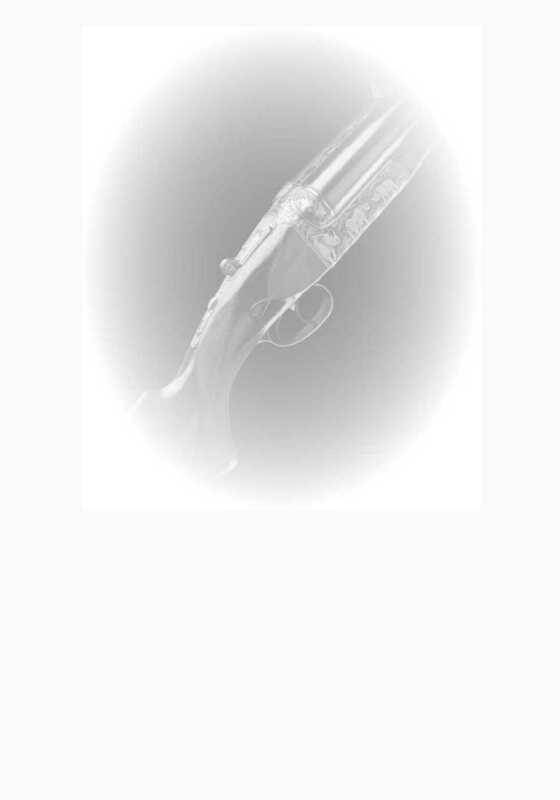 I'm not sure if this referred only to the Model 80 marketed by Colt in the US as the Colt-Sauer, or if it was only the Model 90 or both. I attended the SCI Show in Melbourne some years ago and there was one there. 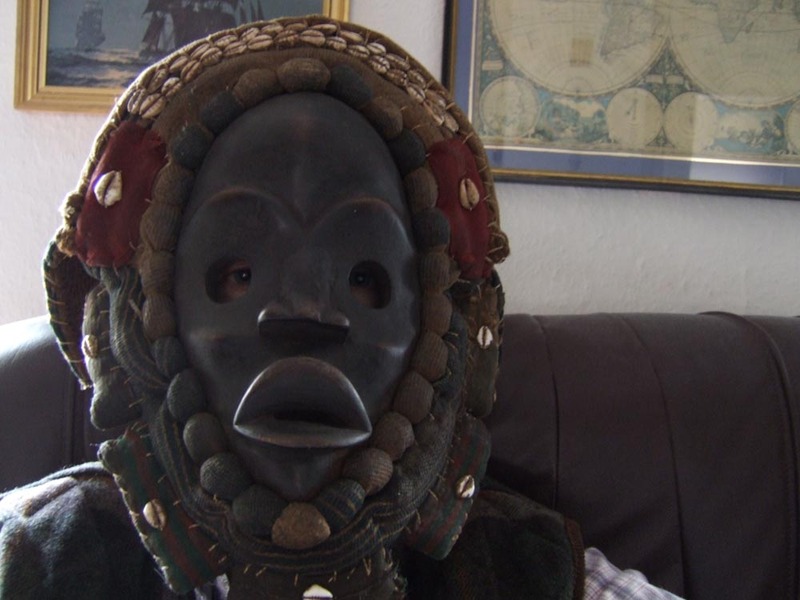 It was pretty heavy in part, I recall, because of the barrel thickness, but perhaps due in part too to stock density. I have seen a book of all the various commercial woods of the world that included their relative weights and this might be the sort of thing that would throw some light on the matter. Having said that, extra weight in many .458 Win. Mag. rifles would be no bad thing. 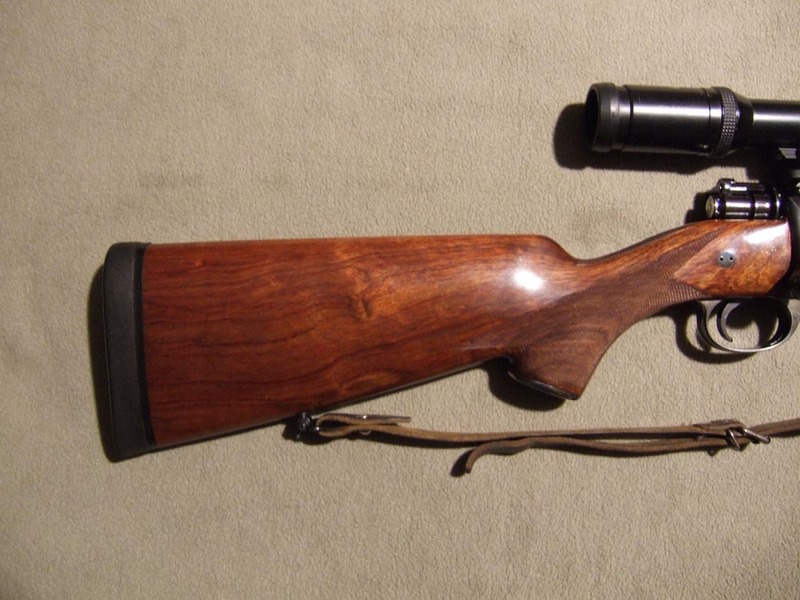 The dark wood on that Sauer rifle looked really up-market. 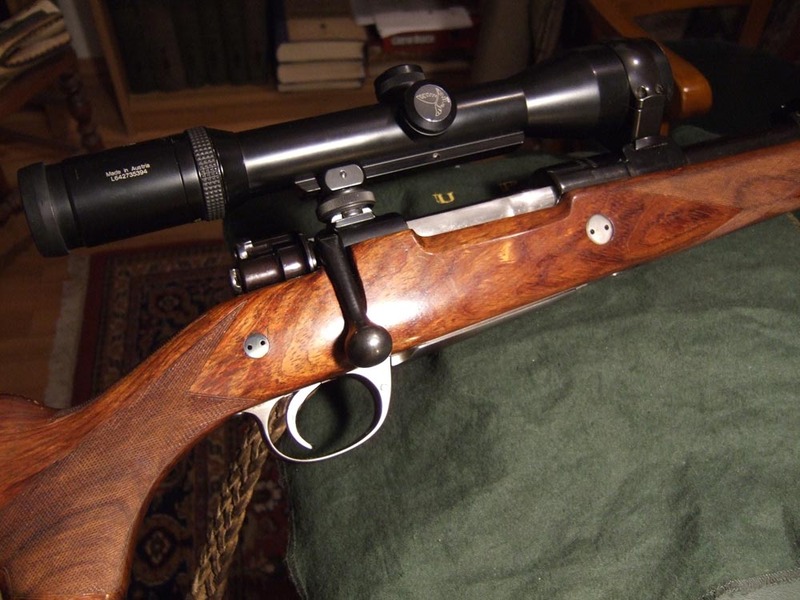 My .375 H&H Sauer Model 90 is standard walnut, "Grand Alaskan" and, without the bull-barrel arrangement, (in fact it has an optional shorter barrel). It handles and points like a dream. I've only come across one 10.75x68, an original Mauser, one of the very earliest ones. The owner has my number ! 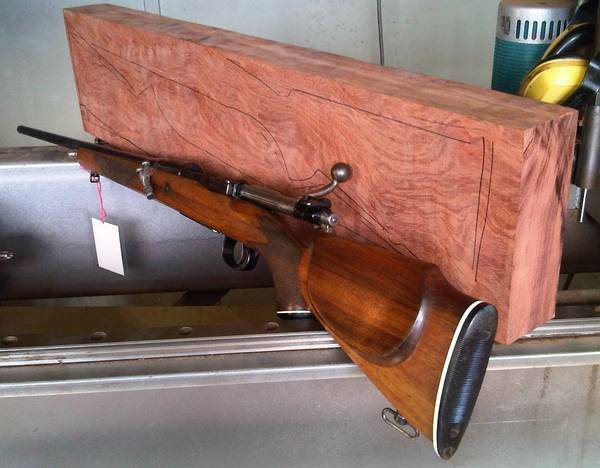 My 10,75x68 DWM Mauser is stocked with bubinga. Grandveneur I'd love to see some pics of your 10.75 ! I send pictures soon as possible, but be patient, i am not a specialist for this one ! Hello ! The 10,75x68 with a bubinga stock ! grandveneur, you are welcome. Nice rifle. Bubinga is a rosewood and works like it. Harder than walnut, but doesn't have as much impact resistance. It can take a glass like finish as it is naturaly oily as all rosewoods are. Smells nice too, kind of like nutmeg. I made dozens of knife handles from bubinga. Never had a problem with gum pockets, but the wood was well seasoned.